Cincinnati Council member Kevin Flynn said Wednesday that he won't run for a second term on city council next year, but Thursday, he left the door open just a bit to a possible return in the future. Flynn, speaking to reporters outside City Hall Thursday, he'll wait and see what happens in next year's election and over the next four years at city hall. "Hopefully, we'll still have our current mayor and a good council that will continue to do the work we've started here,'' Flynn said. "And, if not, 2021 is not that far down the road and I can always come back at that point." After next year's election, the next council and mayoral election will be in 2021. But Flynn emphasized Thursday that he never had any intention of becoming a career politician. A real estate lawyer by trade, Flynn ran twice and lost before being elected in 2013 with a Charter Committee endorsement. He said he believes he has reached most of his goals during his time on council, including being part of a council majority which added more police officers and firefighters, ended the "brownouts" at fire companies, and his work as chair of council's Rules and Audit Committee. Flynn says he will serve out the remainder of his term, which runs through 2017. Flynn's decision to run means there will be at least three open seats on the nine-member council in next year's election. Democrat Yvette Simpson is running for mayor, while Republican Charlie Winburn is term-limited out. Flynn said he hopes his example will encourage other citizens to get involved in public life. "I wanted to give good people – who aren't necessarily politicians, who don’t want to make a career in politics – I think I've shown them you can serve four years in public service, continue doing public service in other ways, but you can win and you can make a difference on city council,'' Flynn said. 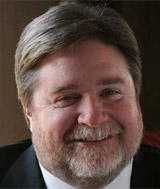 Cincinnati Councilman Kevin Flynn will not seek re-election next year, but will serve the remainder of his term.